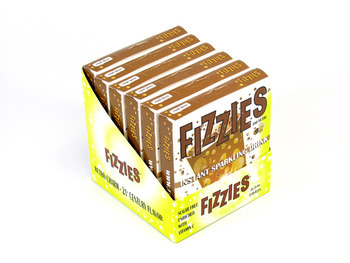 One of my favorite things growing up was root beer flavored Fizzies. Remember them? You dropped a little brown tablet about the size of a sweet tart into a glass of water and after a couple of minutes of fizzing (see how the name works? ), you get a tall glass of root beer! Well, I’m sure I wouldn’t think the flavor so great now, but it was all I knew at the time. The same goes for pre-made root beer and sassafras infused liquors. Up until the introduction of the spirit Root by the folks at Art in the Age, it was all liquids with sickly sweet and artificial flavors. With the introduction of Root, the original flavor of Root Tea is back. Native Americans had been drinking Root Tea for hundreds of years before sharing it with the American colonists in the 1700s. They created the concoction by brewing sassafras, sarsaparilla, wintergreen birch bark, and other roots and herbs into an alcoholic liquid reputed to cure various ailments. Over succeeding generations Americans modified the recipe adding to it’s complexity and diversity. That is until the mid-19th century during the rise of the Temperance movement. In 1851, Maine became the first state to pass legislation, banning Root Tea and all other alcoholic beverages except those used for “medicinal, mechanical, or manufacturing purposes”. In just four years later, 12 other states had joined Maine in the ban. During this time, the Philadelphia pharmacist Charles Hines came with the idea of making a non-alcoholic version of Root Tea. Once he did this, Root Beer was born. He christened his homemade creation “The Greatest Health-Giving Beverage in the World” and received wide acclaim at the 1876 Philadelphia Centennial Exhibition. 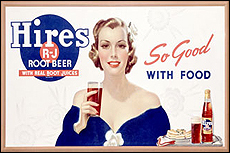 A few years later, he began commercial production of root beer and soon it was available in both soda fountains and for purchase in bottles in grocery stores nationwide. With that, Root Tea began to dissolve into the mists of time. Pulling it from obscurity, the Art In the Age company (you really need check them out) began working to reproduce the original recipe for Root Tea. Well, as close as they can, since sassafras root can’t be used due to an FDA ban in 1960 (it contains safrole a potential carcinogen). Instead they created their essence of sassafras from citrus, wintergreen, and spearmint to closely approximate the flavor. Root is definitely reminiscent of the more common root beer, but it’s flavor is far more complex. It combines birch bark, smoked black tea, sugar cane, sassafras essence (citrus fruit, spearmint, and wintergreen), lemon and orange peel, allspice, clove, anise, cinnamon, cardamom, and nutmeg into a glorious dark elixir. 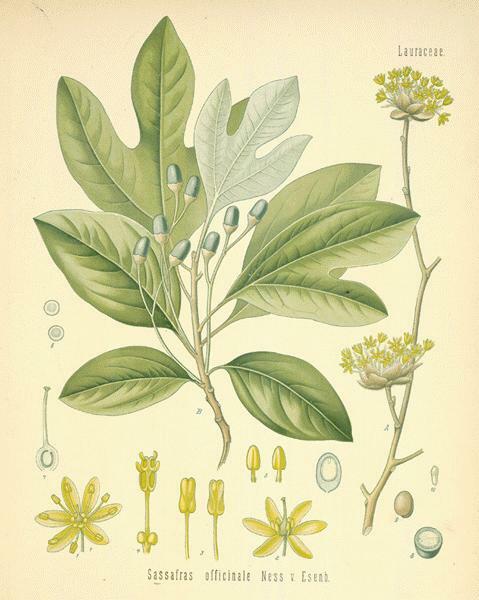 The fragrance is redolent of sassafras, but whiffs of allspice, citrus, and even vanilla are present. Flavors across the palate are predominately birch bark, wintergreen, orange peel, and cardamom. At 40% alcohol it is a bold flavor that can very easily take over other flavors, so it should be used or consumed in discrete quantities. So, if you’re still not sure, where you can you try it out? 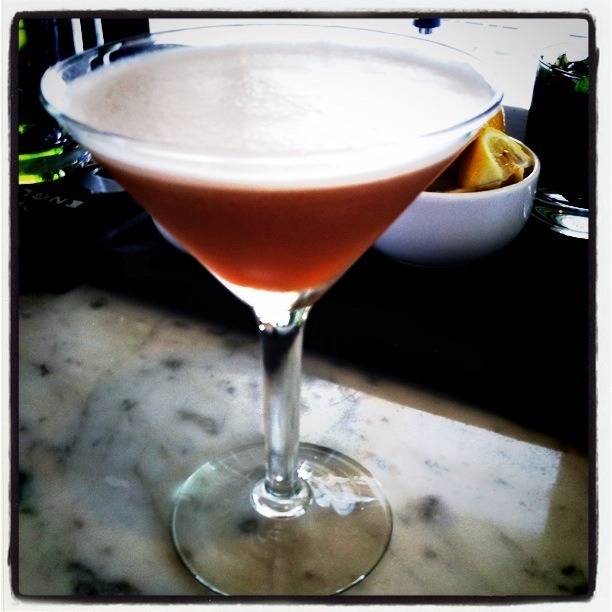 Our favorite place is at Bocado in the original creation, the Root and Rye. Mixologist David Durnell combines Root, Old Overholt rye, wormwood bitters, lemon juice, and an egg white before shaking and serving it up in a martini glass. The result is cocktail magic! While it looks like a very adult version of root beer with a head from the egg white, it is far better. The smell and taste showcase the Root with sweetness being is balanced out by the bitters, citrus, and egg. So, drop by Bocado at your earliest opportunity to try one. No, now. With all the great cocktails being created here, the menu changes rapidly, so consider yourself warned. Once you’re ready to purchase, you can get Root and our other featured unusual spirits at Tower Wine and Spirit on Piedmont Road in Atlanta. Check them out online, or stop by their store. 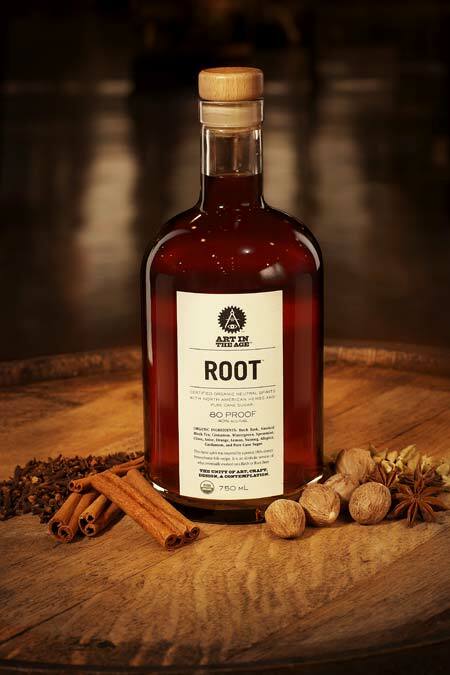 We firmly believe this unusual spirit will reestablish Root Tea in the American canon of liquors. Slainte! 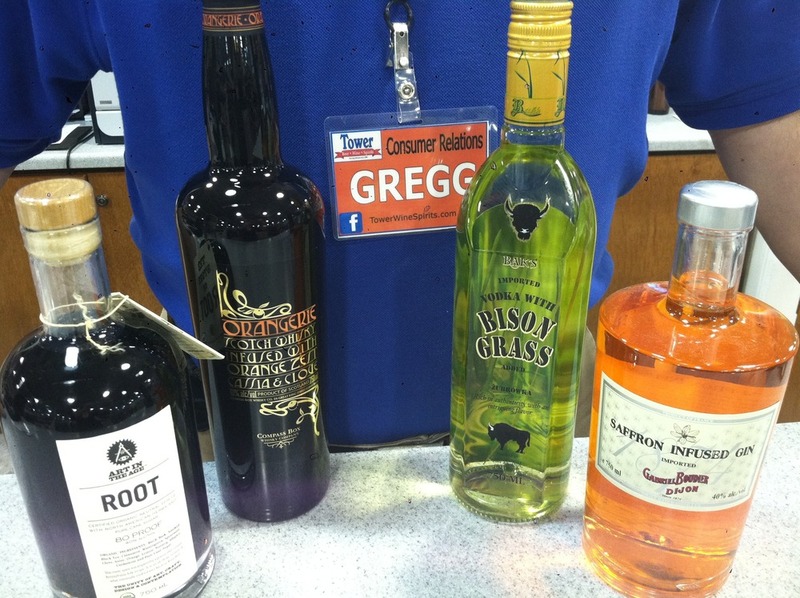 Other unusual ingredients in the series include: saffron gin, bison grass vodka, and Compass Box Orangerie.